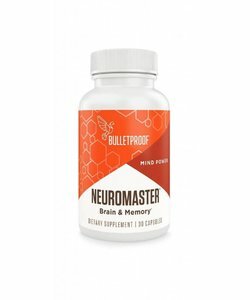 Bulletproof Polyphenomenal 2.0 is composed of nine different polyphenol-rich extracts. Polyphenols from green tea, turmeric and blueberry have potent antioxidant properties. Contains 120 capsules. Oxidation is damage caused by reactive oxygen species in the body. Reactive oxygen species are made as part of our energy production and are part of normal biology. Oxidation is related to symptoms of ageing. Antioxidants from food, such as polyphenols, can help with this. Antioxidants can capture reactive oxygen species. That is how antioxidants can protect healthy tissues and cells and reduce ageing-related accumulation of oxidation damage. Bulletproof Polyphenomenal 2.0 is composed of a variety of polyphenol-rich plant extracts. It contains extracts from nine different plants, such as green tea, turmeric, and blueberry. 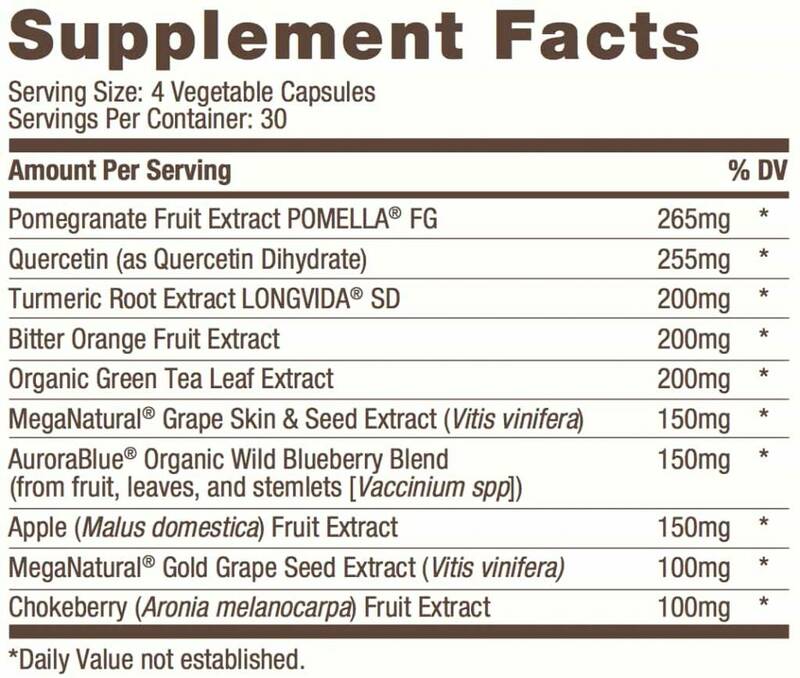 The plant extracts contained in Polyphenomenal have many scientifically supported health benefits when taken at the recommended daily dose of 4 tablets daily. These are some of the benefits. Turmeric and blueberry have significant antioxidant effects. Blueberry supports the health of the eyes. Turmeric supports the efficacy of the immune system. Turmeric, green tea and blueberry support the health of the cardiovascular system. Green tea aids in weight management when combined with exercise and a healthy diet. Turmeric supports the health of the skin, liver, lungs, bones and joints. Turmeric contributes to a normal nervous system function. The Bulletproof Polyphenomenal 2.0 ingredients are selected to be absorbed by the body as easily as possible. This supplement contains no GMOs, soy, gluten, artificial colouring, or added preservatives. Other ingredients: Bamboo silica, modified cellulose (vegetable capsule). 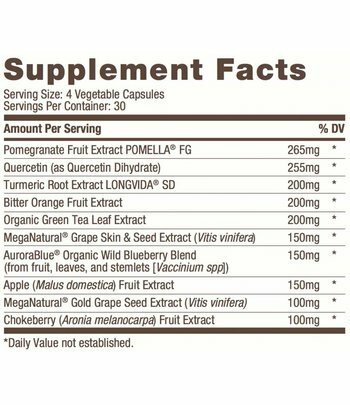 Bulletproof Polyphenomenal 2.0 is a dietary supplement in the herbal preparation category. Pomella® FG and Longvida® SD are registered trademarks of Verdure Sciences, Inc. Patents: www.vscorp.com/ip.html. AuroraBlue® is a registered trademark of Denali BioTechnologies, Inc. and is protected by U.S. patent # 8,591,964 B2.